Tea provides a calmer state of mind, aids with stomach and digestive problems, provides cleansing properties for the body, and promotes energy and wellness. 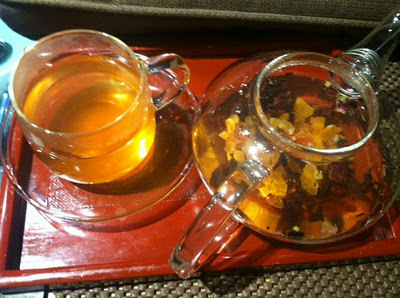 The other night I made a natural fruit tea with dried mango, dried apricot, dried pineapple, dried cranberries, 3 pieces of star anise, and 1 cinnamon stick. The natural sweetness from the fruits makes this tea delicate and delicious.